It’s easy to panic after a DUI arrest, particularly when you recognize the severity of the looming penalties. What you must remember first and foremost is an arrest is not a conviction. You are owed due process, and that means you will have a chance to challenge the evidence against you. 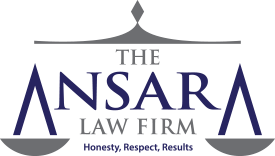 The Fort Lauderdale DUI defense attorneys at The Ansara Law Firm have helped hundreds of defendants beat back very serious charges related to impaired driving. We understand the complexities of Florida’s DUI laws, and we’re adept at formulating effective strategies to help challenge the state’s evidence. The very first step in avoiding a DUI conviction is to hire an attorney with extensive experience and a proven track record of successful outcomes in cases similar to yours. The good news is DUI cases are highly defensible, meaning there are often numerous opportunities to challenge the evidence. These cases are often more complex than you might assume, and if just one element of the state’s case doesn’t meet the applicable proof burden, you may have a good shot at dropped or reduced charges. While the exact defense will depend on the individual circumstances of your case, there are several we find are useful time and again. Unlawful stop. The Fourth Amendment to the U.S. Constitution offers protection from unreasonable search and seizures of property and individuals by the government, and also protects against arbitrary arrests. Reasonable suspicion is required to initiate a brief stop or detention. Reasonable suspicion requires analysis of the totality of circumstances to determine whether officer has a particularized, articulable and reasonable belief of suspected wrongdoing. It can’t simply be a hunch. If a stop was wrongfully initiated, whatever was discovered thereafter – including officer observations, breathalyzer tests, etc. – will all be inadmissible in court per the “fruit of the poisonous tree” doctrine. Faulty field sobriety tests. Most DUI arrests are predicated by the officer conducting a field sobriety tests. As AAA notes, these include the horizontal gaze nystagmus (HGN) test which measures involuntary eye movement, the walk-and-turn test and the one-leg stand test. The problem with these tests is that while they are based on certain scientific and medical evidence, police officers are not doctors or scientists. Their tests are not being conducted in a hospital or laboratory. There is ample room for error with the results. Faulty breathalyzer. Florida’s implied consent law ( F.S. 316.1932) requires motorists to submit to a breathalyzer when asked by an officer, or else face an automatic one-year license suspension, with the evidence available to be used against defendant in court. The legality of breathalyzer machines, which promise to measure one’s breath-alcohol concentration, have been repeatedly upheld by courts. Nonetheless, courts recognize these machines aren’t necessarily error-proof. Some of the issues that can result in faulty read-outs are: Failure to properly and regularly calibrate, foreign substances in the mouth producing false positives, failure to conduct the test consistently, environmental factors, software glitches and human error. Warrantless blood draw. Although police do not need a warrant to compel a driver to submit to a breathalyzer test, the U.S. Supreme Court ruled in Missouri v. McNeely that officers may not draw blood from a suspected DUI offender absent a warrant except in very limited circumstances. Rising BAC defense. Blood-alcohol concentration continues to rise for some time even after you consume your last beverage. What this means is that if officer delay your BAC test for any period of time after you are stopped (i.e., they wait until they return to the station), your BAC may actually be higher when you’re tested than when you were driving. In cases where one’s BAC was close to the legal limit of 0.08, one could argue driver was not in fact over the limit at the time of the stop and thus was not guilty of DUI. Lack of evidence. It is not up to you to prove you are innocent. The onus is on prosecutors to prove you were guilty of the offense of which you are accused. They must prove this beyond a reasonable doubt. Your defense lawyer will work to establish holes in the prosecutor’s case to cast a sufficient amount of reasonable doubt. In some instances, the evidence against a defendant is overwhelming. There may still be hope to avoid a conviction through a legal mechanism that allows a withhold of adjudication. This is a special sentence wherein the judge may order probation or some other requirements, but does not formally convict a defendant of a criminal offense. F.S. 948.01 allows a judge to withhold adjudication in cases involving a sentence of probation and/ or community control. Typically, defendant must successfully complete all terms of that probation, at which time the judge will release defendant from probation without a conviction. That allows defendant to sidestep all the negative consequences that might otherwise befall him if he had been convicted. Also, you cannot take advantage of adjudication withheld for a charge of DUI. However, if your attorney can negotiate a plea to a lesser charge (i.e., reckless driving per F.S. 316.192), we may still be able to pursue a withhold on adjudication.